During a recent roundtable with reporters, Supergirl executive producer Ali Adler held back details, but confirmed that there are plans to add more female characters -- and specifically a female superhero or two -- into the series. "We’re actually doing that now in our backorder from CBS, so we’re actually working on that right now. Absolutely. 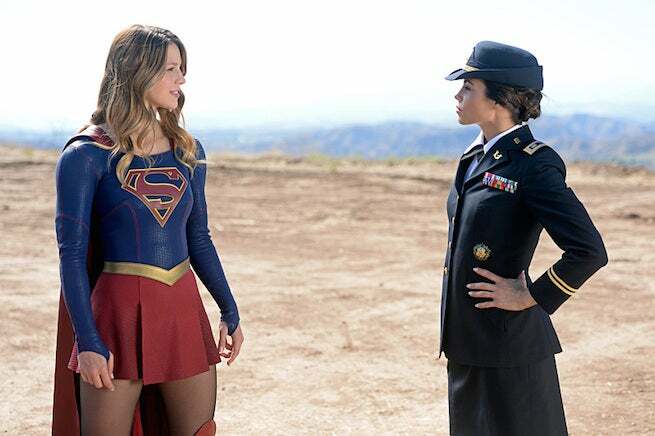 There might be a little twist to that too," Adler said when asked whether Kara might interact with more women who aren't her sister or her boss. When pressed for whether some of those people might be a little more super, she said, "These are all very good questions," laughed, and then said, "Yes." Details were scarce and, with the recent revelation that Martian Manhunter is on the series, there wasn't much time to discuss anything abstract. Still, it's worth noting that at least DEO Agent Cameron Chase -- who headlined her own title in the '90s before becoming a fan-favorite supporting character in Marc Andreyko's Manhunter -- will be headed to the series in the back half of the season. ...And, of course, there's the whole notion of Lucy Lane as Superwoman, as seen in the World of New Krypton comics that have influenced the show so much...!